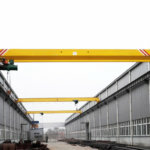 2 ton overhead crane is a kind of small overhead lifting equipment that typically comes in single girder construction. It can be designed for general lifting purposes as well as special lifting applications, such as to lift and move a heavy load in workshops, warehouses, workstations, steel mills and chemical plants. This type of crane is ideal for infrequent or light uses. The 2 ton overhead bridge crane is available in multiple types and models to suit varied lifting requirements of customers. 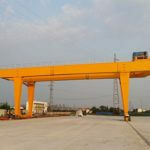 LD type single girder crane is the most commonly used overhead crane system that is engineered for general lifting purposes. The work duty can be A3 or A4 depending on your specific uses. LX underhung crane is a sort of lightweight overhead crane mounted at the bottom flange of the runway beam, which is suspended from the building roof structure. 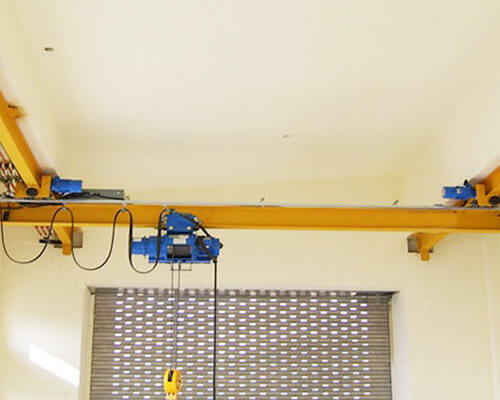 The underhung design enables you to install a crane at the facility where the ceiling height is inadequate. It can also save some steel structures for the plant, like supporting columns. LDY Metallurgical bridge crane is mainly used for lifting hot molten metal in metallurgy and foundries. Due to high heat environment, the main components of the crane are specially insulated, such as the bottom of the main beam and electric motor. LB explosion proof crane is specifically designed to lift and move heavy objects in explosive or flammable atmosphere. The motor and electric hoist use explosion-proof design. The wheels use stainless steel wheels or nylon wheels to avoid friction during operation. LDZ grab crane is a kind of LD type overhead crane equipped with grab bucket. It can be used to grab bulk materials, like sand, soil and garbage. 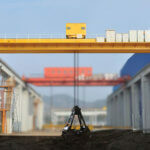 With so many different types of cranes out there, it is critical to select the right equipment for the job. The selection of a crane is determined by many different factors, such as your required crane specifications (rated load capacity, span, lifting height, etc), specific use, environmental conditions, duty cycle and other special requirements. Discuss your overhead crane requirements with one of our experts online to get the most appropriate solution for your job. Working environment: indoor, workshops, warehouses, storage yards, etc. 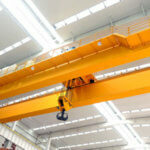 Our overhead cranes can be designed with no limiting capacity to handle many different tasks. There are several major components that constitute the machine and make it work efficiently and reliably. The bridge consists of one bridge girder and two end trucks. It supports the hoisting mechanism to lift and lower the load. The overhead crane can be equipped with electric wire rope hoist or chain hoist which directly performs the raising and lowering of a load. 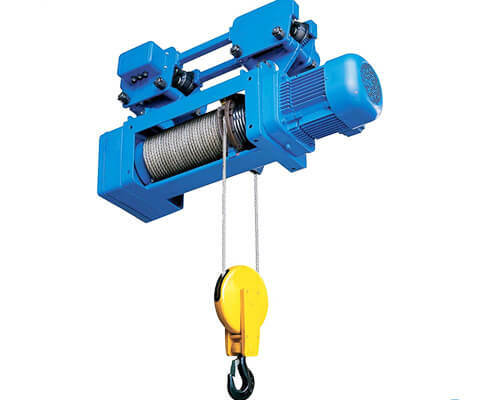 The wire rope hoist is a popular option as it offers fast lifting speed, higher height and smooth operation. 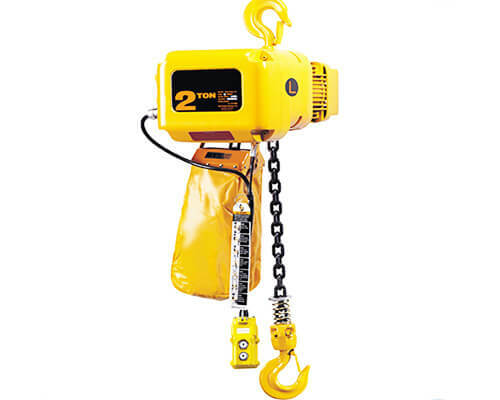 The electric chain hoist is commonly found in light duty applications since it has a lower capacity. But this type of hoist can last longer and require less maintenance. 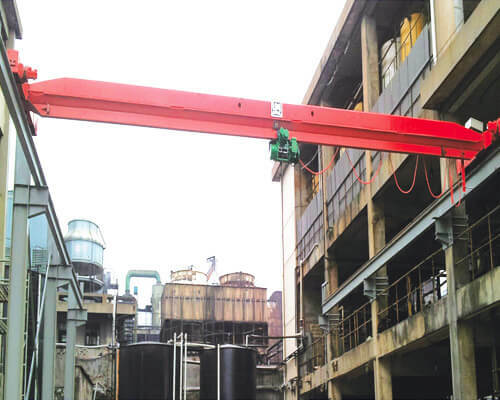 Depending on the type of material you need to handle, the 2 ton overhead crane hoist can be fitted with different lifting attachments, like hook and grab bucket. The crane runs along rail track which is supported by runway beam. The runway beam can be supported by building columns, engineering columns, or just suspended from the building roof structure depending on the structure of your facility. The 2 ton overhead bridge crane is generally controlled by pushbutton pendant or wireless remote control. 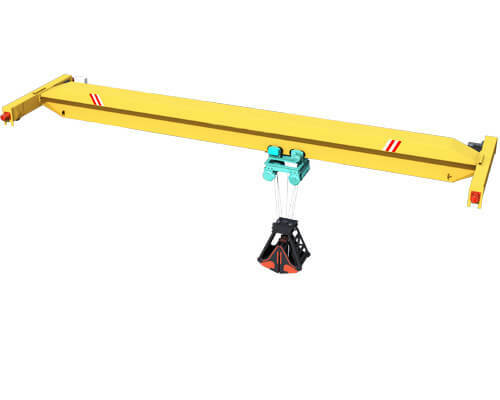 The overhead lifting equipment comes standard with a push-button pendant. However, if the crane is working in hazardous environment, a remote control is a safer way to control your crane. The lifting and travelling motors are designed with enclosed structure. The motor adopts ZDY type conical motor (IP44 or IP54 protected, grade B or F insulated), or YSE soft start motor (IP44 or IP54 protected, class F insulation or class H insulation, IP55 can be customized according to your requirements). Crane design and fabrication. 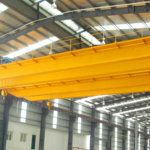 We have a wealth of experience in overhead crane design and manufacturing. Our excellent engineers can help you select the right equipment that works perfectly toward your goals. Our products are manufactured under strict quality control in order to serve you for decades. With a perfect service system, we can offer a quick and professional after-sales service to our clients. We have established 8 service networks with over 60 after-sales service engineers to serve our clients globally. 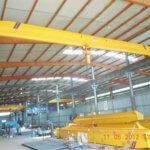 The crane installation, commissioning and maintenance are provided on request. Competitive price. We can offer you a factory price. Free technical advice. If you have any question, please feel free to talk to one of our crane professionals. Custom design. The crane can be custom designed and constructed to suit all special requirements. You can fill out the contact form, give us a call or send us an email to tell us your specific requirements for the crane, like lifting capacity, span, lifting height, the type of material to be lifted and working condition. Our professional engineers and excellent sales team will get together to design a proper and affordable solution. The quotation process can take a few days depending on the complexity of your project. To get a free quote for your 2 ton overhead crane, get in touch with us today!